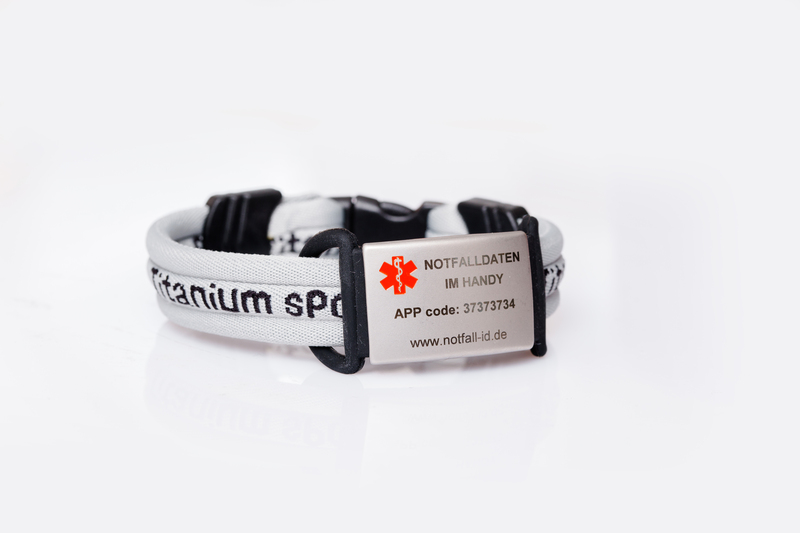 This trendy Medical ID bracelet shows the rescuers in an emergency, the access data to the emergency app in your smartphone, there you can capture all the medical data like medicines etc. which are important for the rescue service to help you. 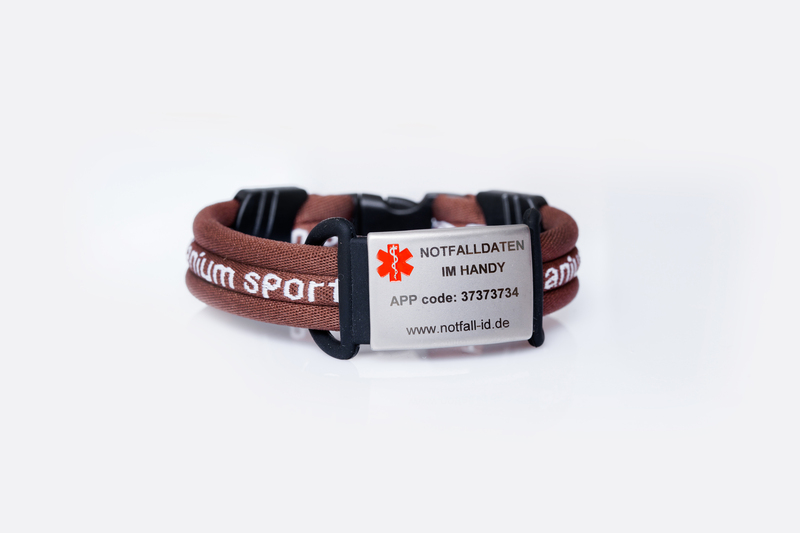 This trendy emergency bracelet shows the rescuers in an emergency, the access data to the emergency app in your smartphone, there you can capture all the medical data like medicines etc. which are important for the rescue service to help you. In the Android app Medical ID, you can safe emergency data such as blood type, illness, medication, allergy and emergency contacts centrally and immediately available for the emergency service.. 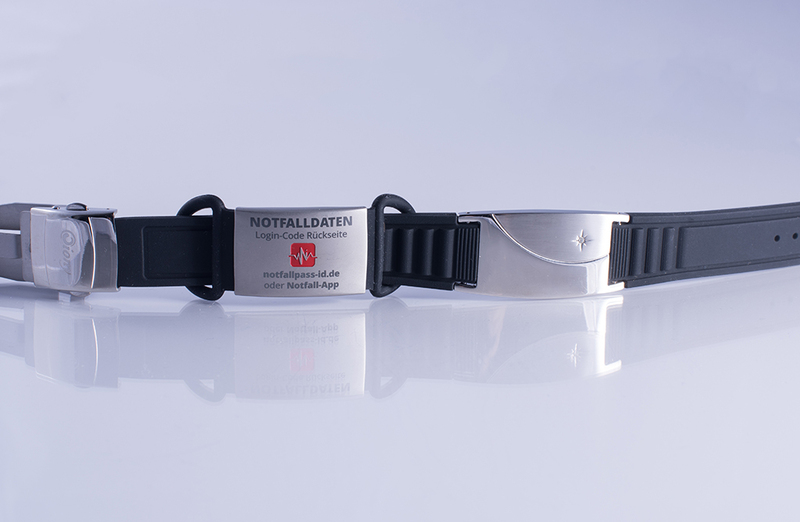 The high-quality Medical ID power bracelet combines design and function. 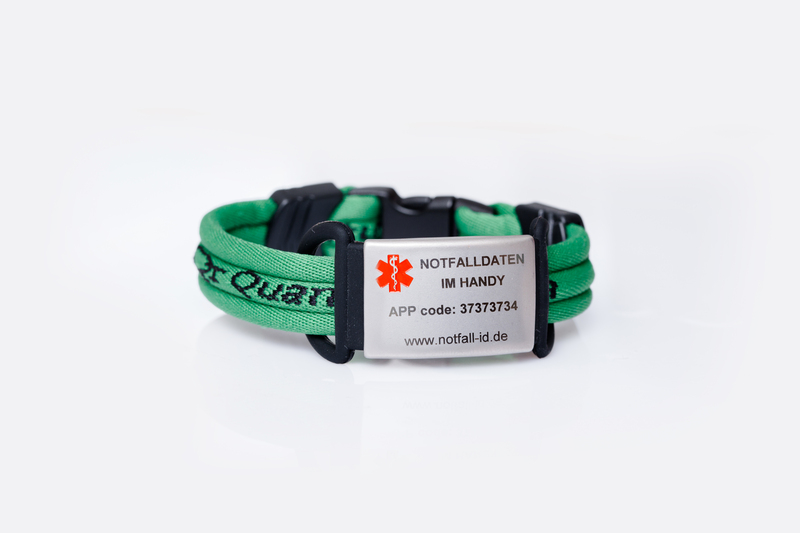 Silicone, germanium and titanium, combined with the finest fabric, are a guarantee for versatile and sturdy accessories that accompany you everywhere..
For you, the Medical ID bracelet expresses your unrivaled style, for the rescue service the quick access to your emergency data. 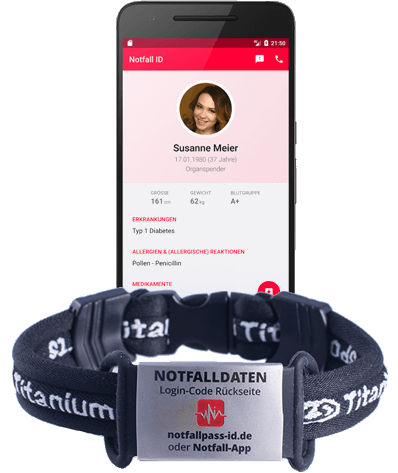 In combination, the Medical ID bracelet and the app are an unbeatable team!! In an emergency, every second counts. Therefore, paramedics or other helpers need immediate information about your medical history. 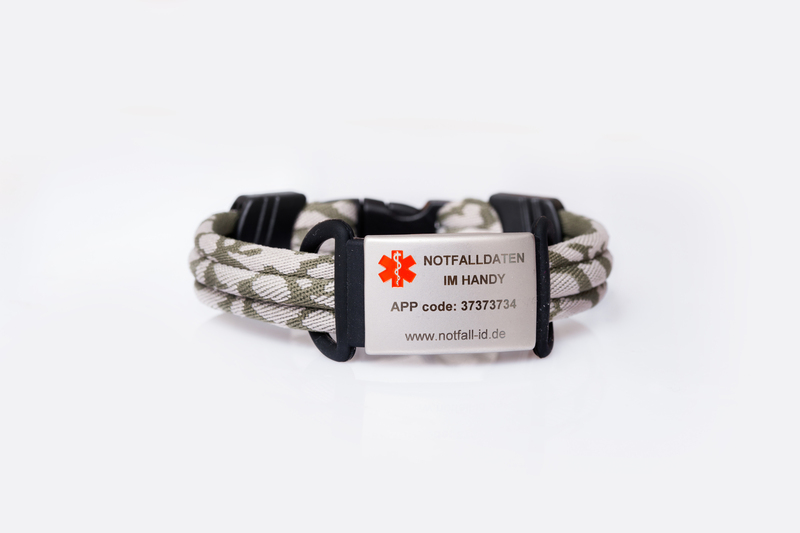 Take a look at your wrist: your emergency Medical ID bracelet shows at a glance that all relevant medical data is available in your smartphone app. And thanks to the printed security code, access is intuitive and without prior knowledge. 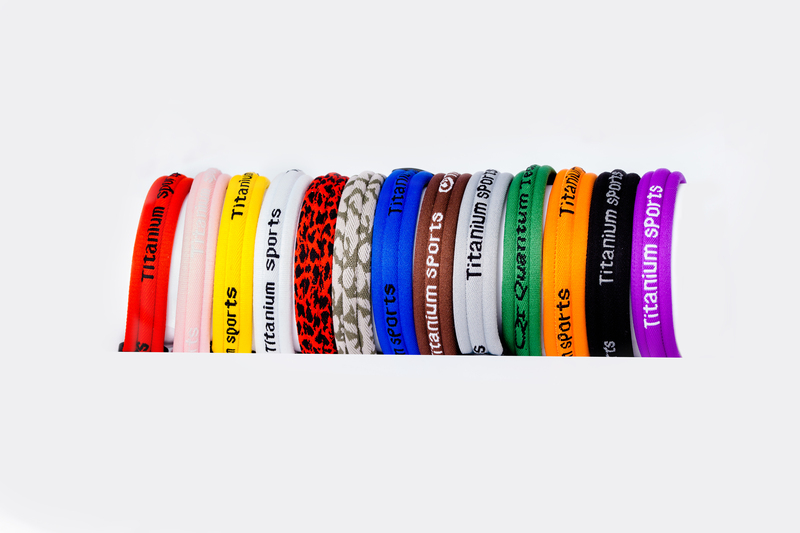 Choose from our many designs and colors your personal favorite piece or choose for several colors for daily combining. 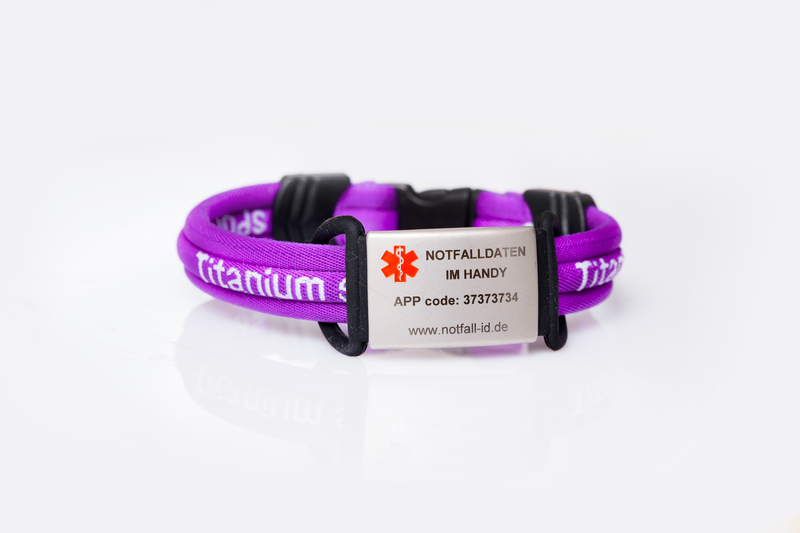 The Medical ID bracelet is made of a fine fabric, which is particularly robust thanks to the included silicone, germanium and titanium fibers, while at the same time being flexible to your wrist. 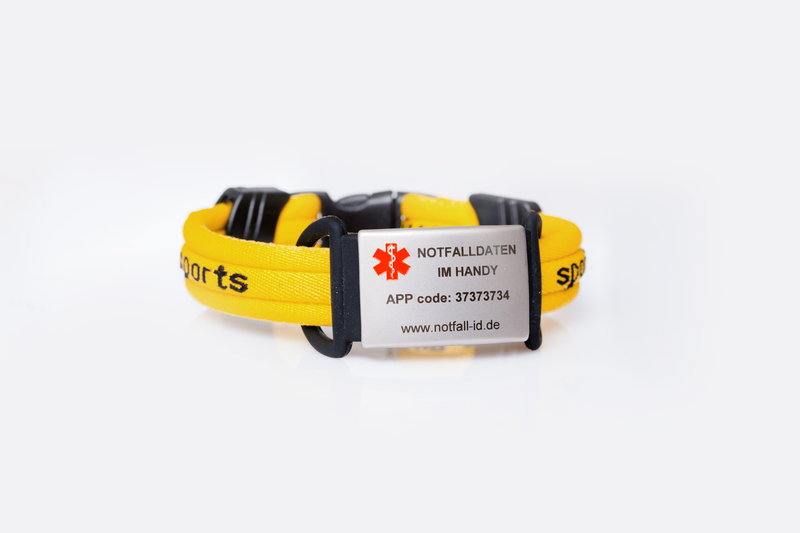 And best of all, you can always attach your personal emergency ID to other bracelets (eg watch straps or fitnesstrackers). If necessary, simply use several emergency IDs, which you can flexibly attach to your jewelery. We also have our classic Chic Style staples in many designs and colors. In carbon optics with simple fashionable silicone strap and an elegant adjustable buckle. 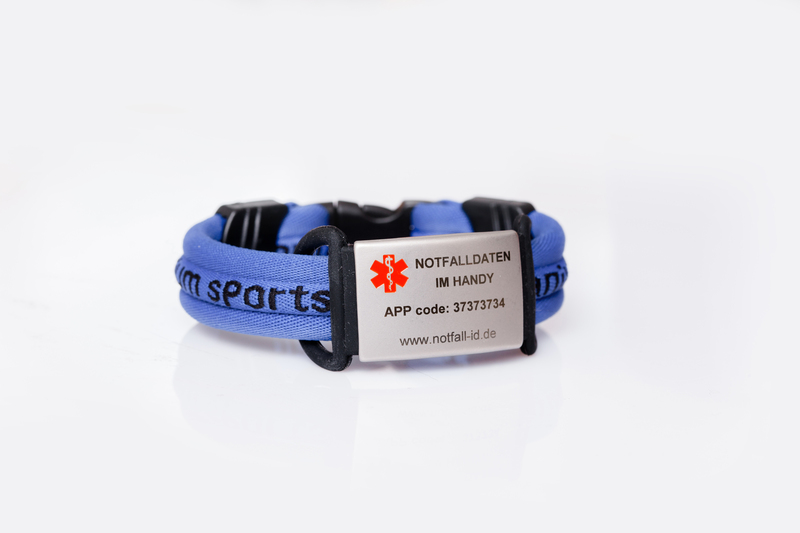 As well as silicone Medical ID bracelets with stainless steel and various magnets makes carrying to many everyday situations possible. Many use these bracelets as energy bracelets. All mobile phones should have this or similar ‘built in’.. it could save many lives and contact the right people in minutes.. saving hours of work for medical and police etc. I love knowing I have not only my health information readily available for emergency situations, but can also have it for my mother. It really works and saved my life! Now do something for your personal safety! 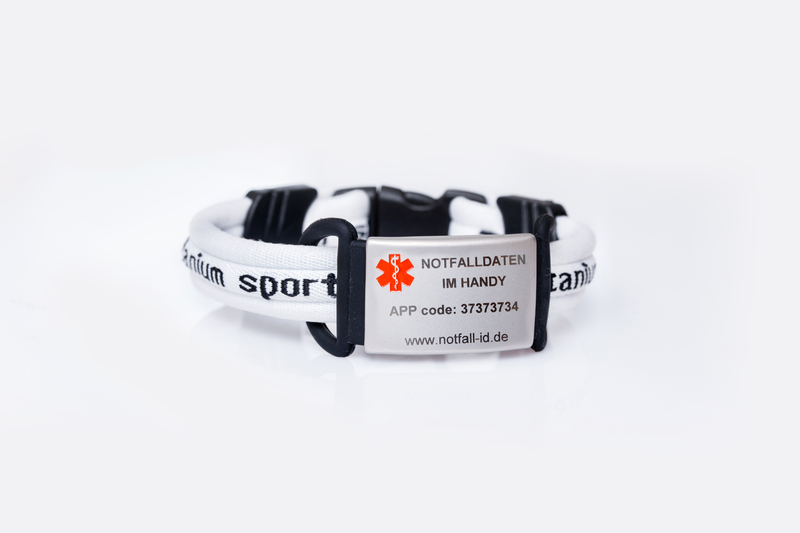 The emergency ID wristband offers you a bit more security, whether in road traffic, in sports or for the elderly, who live alone. For paramedics the view of your wrist is self-evident. 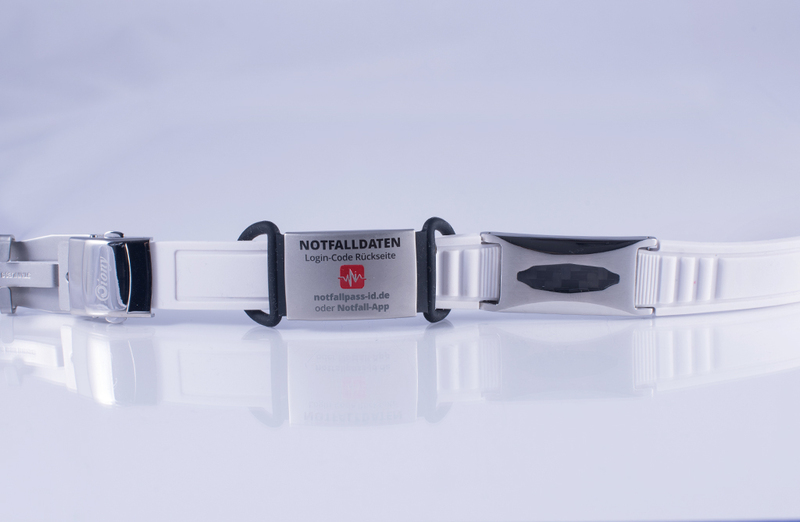 If you find your Medical ID bracelet here, you can immediately take the necessary steps to provide you with the best possible care. Our team has had many years of experience in the rescue service and experienced many critical situations. Sportsmen are hurt on their daily run. Pedestrians are approached by a car. Older people lose consciousness in their home or suffer a stroke. In many cases the rescue service can only help if he knows as soon as possible about pre-existing conditions, medications or allergies. 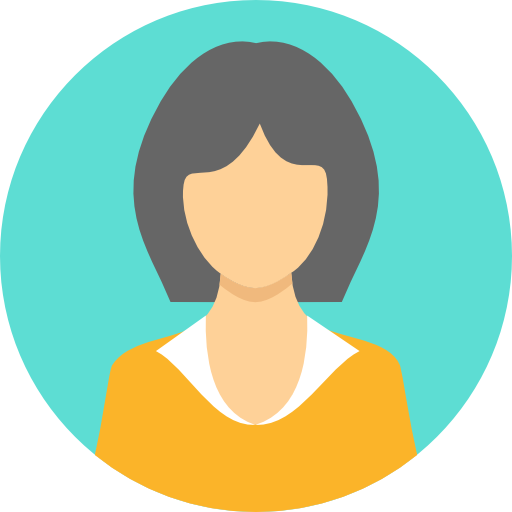 Unfortunately, in the rarest cases, a member of the family who is able to provide information on all medical data is rare. It may result in too late intervention or mistakes. That is why, together with emergency physicians and emergency responders, we have dedicated ourselves to the task of developing a system that provides rapid emergency assistance. 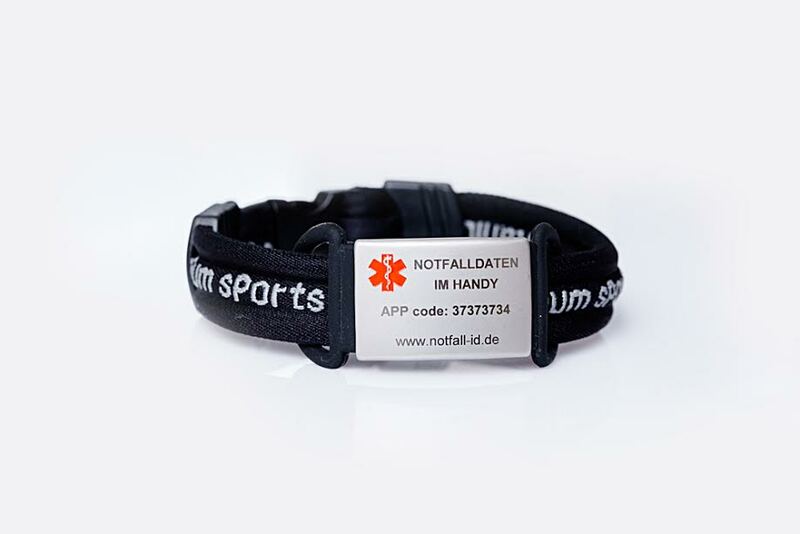 With emergency ID app and the Medical ID bracelet, you can help firefighters, emergency responders, emergency physicians and other helpers to save your life in an emergency. The emergency ID system is based on two important pillars. The Android app captures your medical data. 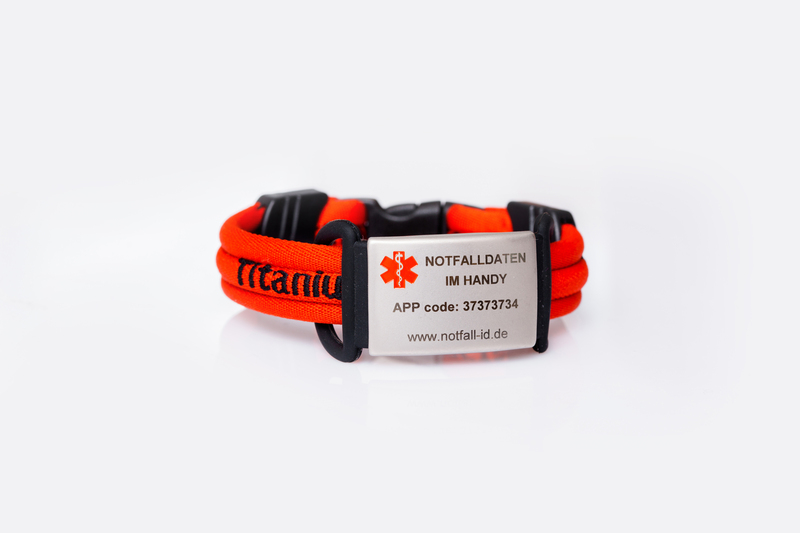 The emergency bracelet, on the other hand, is the guide for the rescue workers, so they can immediately access the information stored in the app. 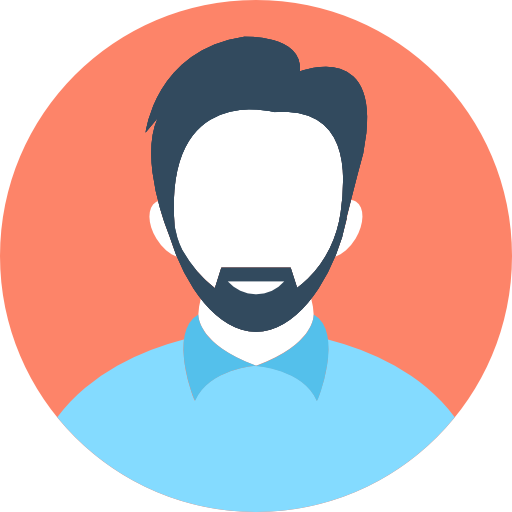 The system is thought out and minimizes the loss of time in crisis situations to a minimum. And is directly accessible from the blocking screen of the smartphone. 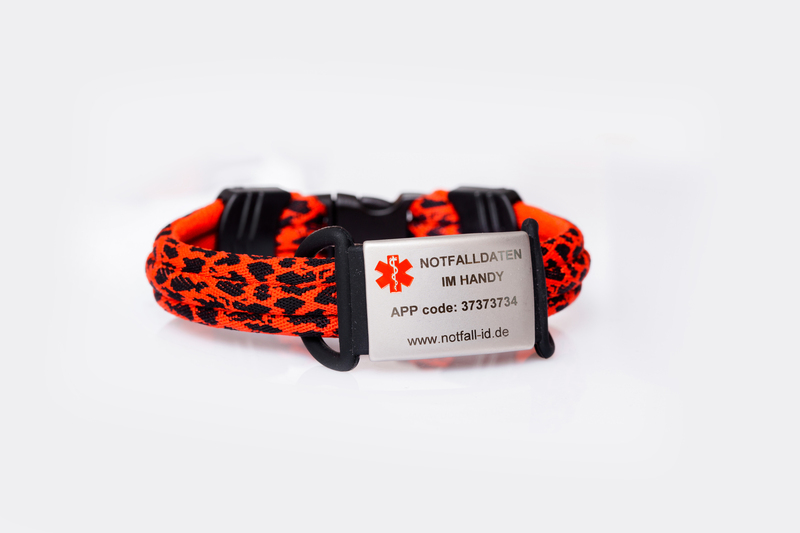 The emergency armband has been designed to give helping persons or the rescue service the crucial reference to the medical information in the smartphone. 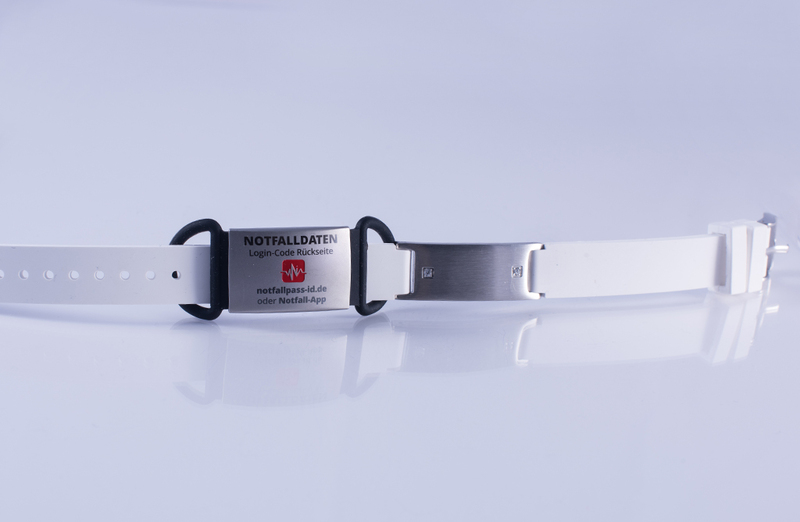 By the inscription “emergency data in the mobile phone”, the discoverer is immediately clear that the mobile phone will provide information about the illnesses and medicines of the patient. 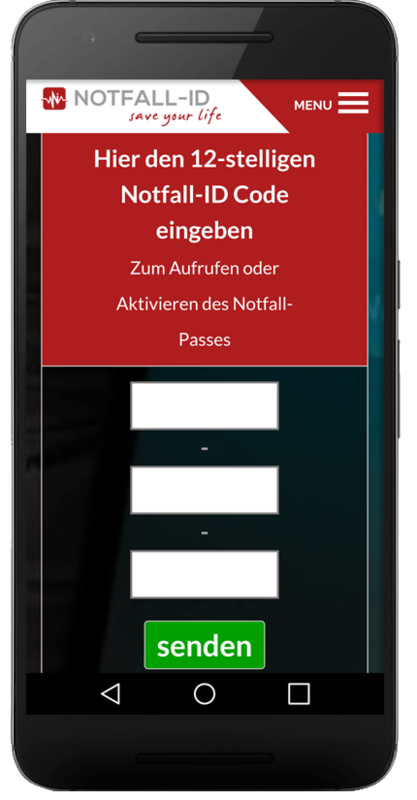 The prominent security code allows instant access to the app. By the way, the fear that, in an emergency, nobody would bother looking for such a bracelet is unfounded. Since intravenous access is often necessary in cases of more severe health problems, in order to be able to make infusions, the wrist is usually examined anyway. In addition, SOS bracelets are now so widespread that the rescue team is already on its own due to the mere possibility of a review. An elderly woman lives alone in her home, but her family worries about her because of various pre-existing conditions. Through the SOS bracelet, the rescue service can quickly find out how to help her, and who is to be informed. A child suffers from epileptic seizures. 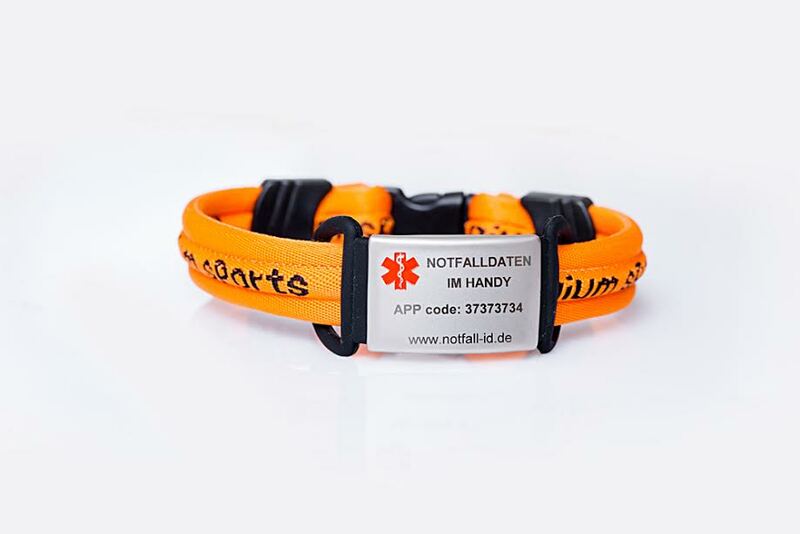 Parents make an SOS emergency armband for their child for the school way, so that they can get help immediately in case of an attack. If dementia patients leave the home alone, they may lose their orientation. 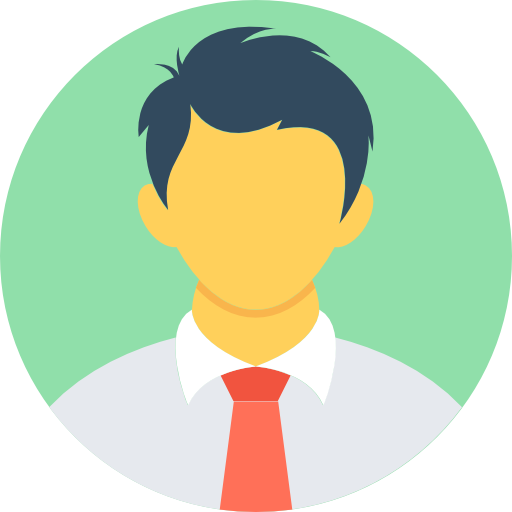 The contact address stored in the emergency ID app can be quickly identified and the responsible contact person can be called. 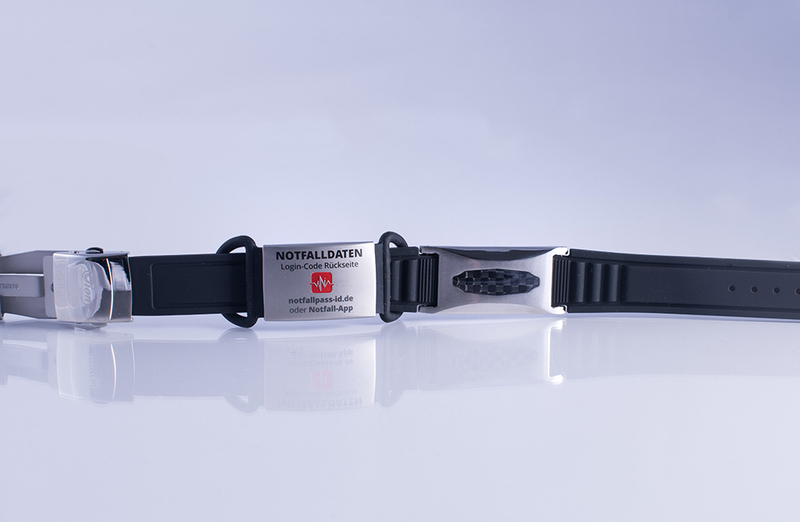 If you are affected by an allergy that causes violent reactions (eg bee stings, certain medicines), the information about the allergy bracelet can shorten the time to the important counter-measures. Do you like running in the early morning or late evening hours when it is dark and quiet? 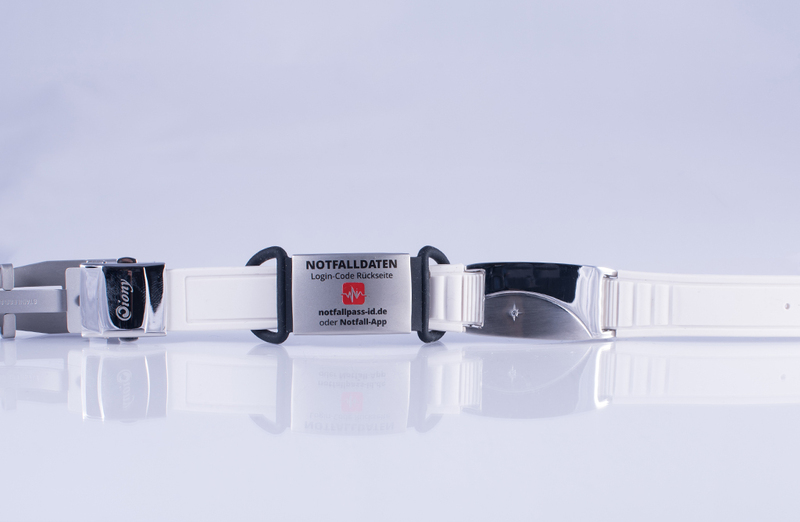 With our SOS bracelet you will feel safe, because in case of a traffic accident you can be helped. Is an organ donation suitable for you? Then every minute counts in case of an accident.  Well, if the rescue service immediately learns this information through your emergency medical strap first-hand. 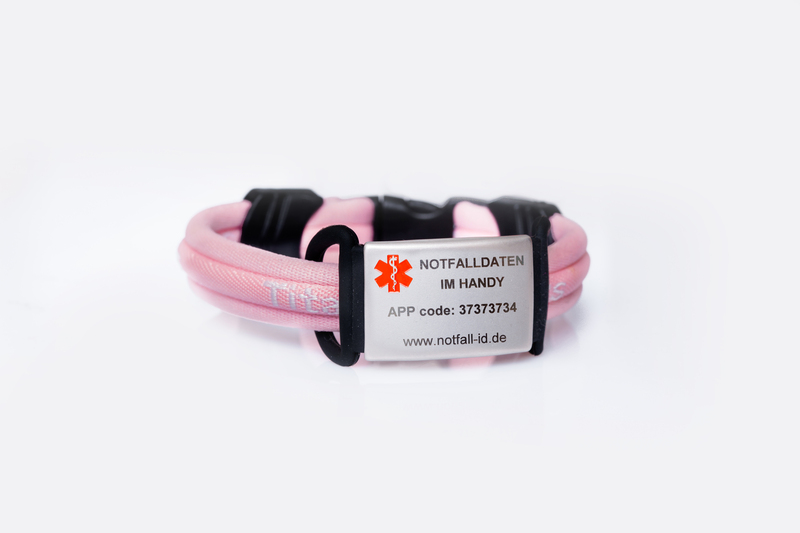 Get your personal emergency ID tag and the matching trendy SOS bracelet right away. 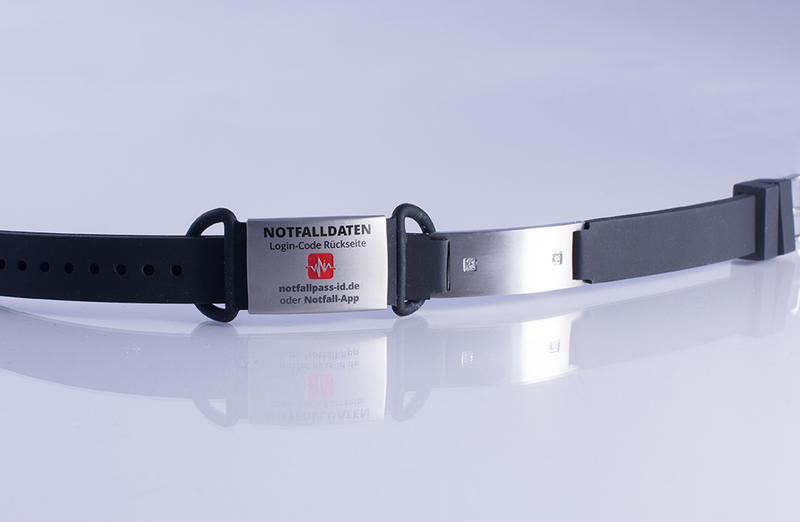 In combination with the app, these fashionable accessories will become an unbeatable safety device for your life!